Ever wondered what to do with your over brewed Kombucha. I have been making Kombucha since January. I found that two weeks was the perfect brewing time in my house. However there as one week that I was too busy to brew my Kombucha. Oh well I said. One more week wouldn’t hurt. Was I wrong. The Kombucha became sour and there seemed to be a higher percentage of alcohol. I didn’t like drinking it. Now I had too much over brewed Kombucha. As I searched through the internet trying to find what to do with this batch I stumbled across different recipes: cleaning products, salad dressing, mixing with juice and marinating meat. I thought, why not. Let’s try marinating my chicken. Now I was following my go to brining recipe. Instead of water I used Kombucha. Make sure that you are using a glass or ceramic vessel when marinating with Kombucha. Kombucha is very acidic and can cause leaching of toxins if you use a plastic vessel. I marinated the chicken for about 6 hours. Overnight would be the best for maximum flavor and moistness. 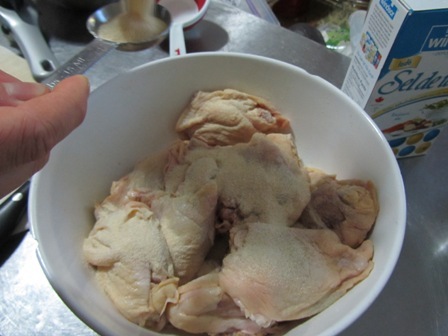 After about 6 hours, I took a look at the chicken and it looked brown and disgusting. I realized the acid from the Kombucha started cooking the meat making it unappetizing to look at. When brining your chicken, remember to dry them completely with paper towels. 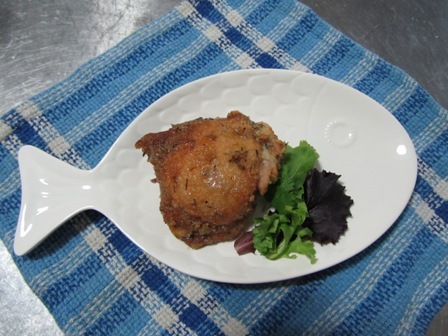 This will help you get a nice crispy crust and allow the spices and herbs stick to the chicken. Add thyme, garlic powder, onion powder, oil, and pepper to the chicken. Toss and mix well. 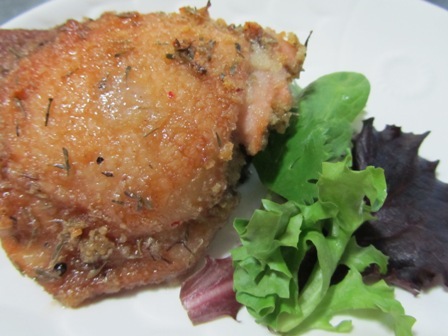 You do not need to add salt to the chicken as the brining will season the chicken perfectly. Place the chicken on a baking sheet and bake at 350 Degrees for about 25-30 minutes. The results from this recipe were shocking. The Kombucha gave the chicken a slightly citrus flavor to it. It was slightly sweet and tangy. I bet marinating longer would make the flavor more pronounced. I would definitely try this recipe again. 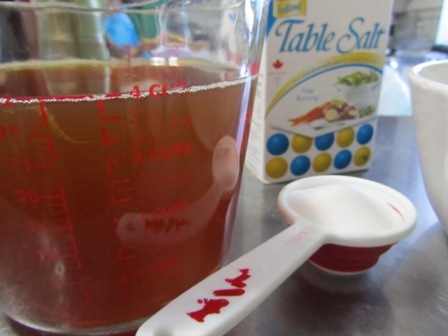 In a glass or ceramic bowl, mix together the Kombucha and salt. 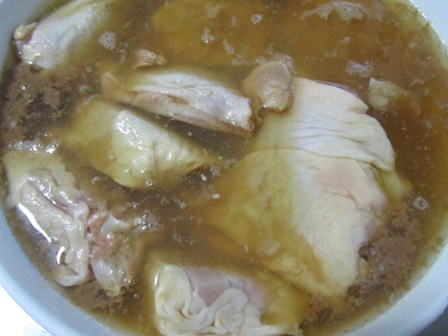 Place chicken in the mixture and marinate for about 6 hours. If you have time, leave it overnight. Preheat the oven to 350 Degrees. 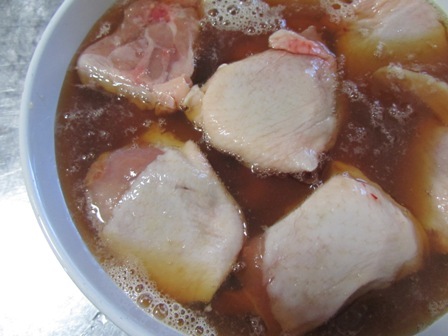 After 6 hours, remove chicken from the marinade and dry well with paper towels. Mix garlic powder, onion, thyme, oil and pepper with the chicken. 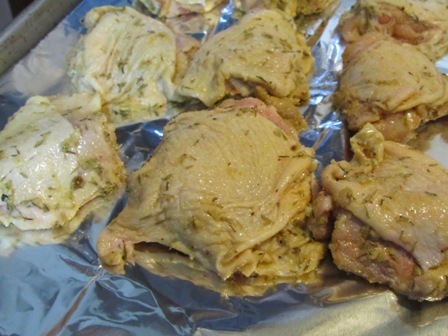 Place the chicken on baking sheet and bake for about 25-30 or until the chicken is cooked through. Enjoy with a nice fresh salad.